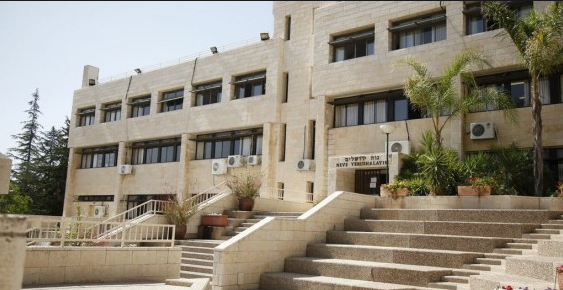 Neve Yerushalayim, my school in Har Nof. I spent over a year living in Har Nof after college, a quiet neighborhood in West Jerusalem. It was no doubt the most monumental year of my life, when I studied Jewish texts full time at Neve Yerushalayim atop the mountain (“Har” means mountain). There I gained the knowledge, commitment to Torah, life skills and Jewish textual skills that have served me every day since. And in spite of the Intifada that occurred during that time–with all of its gruesome suicide bombings–I always felt absolutely safe in Har Nof. True, I said. But more likely is that these men are just working to feed their families and go on with their lives. I’m not so sure that’s true anymore. What happened today in Har Nof is beyond words. That terrorists would enter a synagogue–any house of worship–and literally butcher men in prayer should be unthinkable. That it happened in a neighborhood I once called home–to be cliche–hits too close to home. Many of those killed or injured were in some way connected to Neve. There is irony in the latest attack. The synagogue was in Har Nof, an ultra-Orthodox neighborhood in West Jerusalem. The worshipers lived in internationally recognized Israel and almost certainly never served in the army. They would never approach the Temple Mount, the holy site where recent visits by Jews have supposedly triggered the latest wave of Palestinian violence, because they believe that God’s law forbids it. In other words, these worshipers should be among the least offensive to Palestinians. This is not to say that, for instance, last week’s murder of 26-year-old Dalia Lemkus was less obscene because it happened near a West Bank settlement. But the senselessness and brutality of the synagogue assault, and the otherworldliness of the victims, lays bare the inadequacy of rational political explanations for terror. No doubt the murderers had their grievances (and some perhaps were reasonable), but the butchery in Har Nof shows that any sense of strategy has been overwhelmed by hate. The murder of non-Zionist Torah scholars is an attack on Jews more than Israel, and explaining it requires an understanding of hatred, not of politics. Perhaps the current celebrations throughout the West Bank and Gaza—replete with songs of praise on mosque loudspeakers and the festival-like delivery of sweets to children—goes at least part of the way to providing that. May HaShem hear our prayers and comfort the mourners among all mourners of Zion and Jersualem.